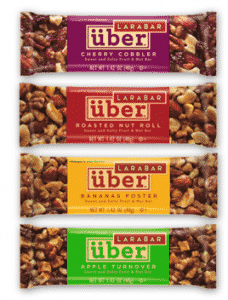 If you’ve been a Live Better America email subscriber as of 4/13, check your email for a possible unique link that lets you request a free Larabar uber bar. The title of the email is “NEW Overnight French Toast Bake + Salted Caramel-Topped Chocolate Cupcakes.” They aren’t sent out all at once, so it might take a bit of time before you get the email. If you aren’t a member, no worries. Just click the banner below and join, so you’ll be eligible for future free samples from them.